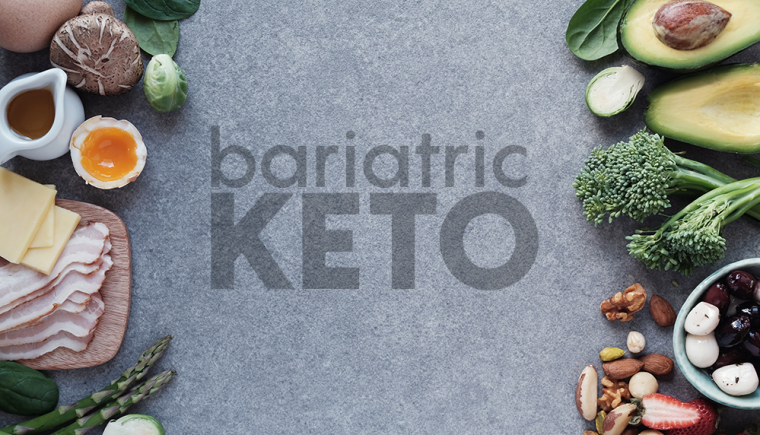 It is always a pleasure for me when bariatric clients want to sit down and discuss a ketogenic lifestyle and ask me if there is a version of Bariatric Keto. Of course, it’s all the rage right now and their interest may have peaked because the internet is currently on fire with ketogenic information and how it can help you lose weight and look terrific. I know that bariatric keto sounds like the latest fad-diet but I also know that if clients choose to follow the latest keto-craze, they will have so many positive benefits and they will understand why this should be a lifestyle decision and not just a fad-diet decision. It doesn’t matter why you feel inclined to follow keto. What is important are the positive health benefits you will experience shortly after adapting to a ketogenic lifestyle. I want to help bariatric surgery patients to improve their health and wellness. I want them to start sleeping better and feeling better. I want them to have more energy. I want them to feel happier and more in control of their kitchens and their lives. Nutrition science has well established the immense health benefits from following a low-carb lifestyle. This type of ketogenic diet can improve cholesterol, blood pressure and blood sugar while reducing triglycerides, appetite, and boosting weight loss. Believe it or not, weight loss becomes just a side effect of a good ketogenic lifestyle. When we eat real food and we clean up our diets and eliminate the processed and refined foods, we get to experience the true benefits. We have more energy, our blood sugars are stabilized and we are not always searching for the next food fix. I don’t mind that my clients reach out to me with one thing on their minds - weight loss. They are not calling asking me how to lower the inflammation in their bodies. They are not asking me how to control insulin levels or lower triglycerides. These are the real benefits that they will achieve and because they have lowered their inflammation and controlled insulin, they are going to lose weight. Now that’s what I call a win/win! 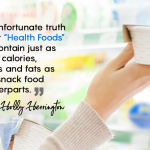 We may look at today’s latest ketogenic fad diet and turn up one's nose, but that same fad diet is also a way to incorporate real, live, natural, good quality food into our lifestyle. With time, we cease to be carb-obsessed and we begin thinking about the right kinds of quality carbs and how to eliminate processed and refined foods from our diets. The harder we work to eliminate “food like” items from our daily lives, the more our health will improve. When we reduce inflammation from our bodies by moving away from the Standard American Diet (SAD) the better our health becomes. Are we doing anything good for ourselves by eating the wrong foods and feeling depressed, bloated, tired and heavy? Having a better energy level and a flatter stomach will immediately make us feel better about ourselves. Being on the hunger-merry-go-round is not a fun place to be. It feels like being stuck in a food rut where we are constantly hungry and chained to a meal or snack. Let’s get off the hunger ride. Let’s take control of our blood sugars and ditch those foods that are keeping us overweight and unhappy. You don’t like the “fad word” Keto? Don’t call it Keto. Call it healthy eating. Make it your own plan. Give it a new name and try it for 21 days. Give yourself a chance to experience all the positive side effects of eating in a healthy, intuitive way. Throw away all the pre-packaged foods. If it is manufactured, don’t eat it. Eat only real food that is fresh and natural. Aim to eat high-quality food. When you eat real food, you are more satisfied and you will eat less of it. Be a boss in your kitchen. Get back to cooking meals and preparing your lunches and snacks to take with you instead of relying on take-out and convenience foods. Carbohydrates. 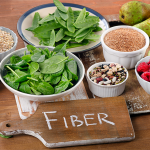 When you eat carbohydrates, stick to high fiber vegetables and low sugar berries. By eliminating the refined and processed carbs, you are already on your way to a much better diet. You are half way there! Eat healthy fat. Don’t forget to eat a portion of healthy fat with each meal. Healthy fats are those fats you find in olives and avocados, nuts and seeds. Eating healthy fats will keep us satisfied for a longer period of time. This allows us to relax and make better food decisions. Water, water, water. Remove sugar-sweetened beverages and fruit juices from your diet. Drink more water. Eat good quality protein. When eating higher quality food, such as lean protein, we tend to eat less because we feel more satisfied. Find a local butcher, and make friends with a local egg producer. Remember, it’s as much about enjoying your food and the relationships with the people who grow it as it is about upgrading nutrition and food safety, conserving energy and supporting local economies. Eat your meals with others when you can. Relax and enjoy your meals. Slow down when you eat and put your fork down between each bite. Eating should be pleasurable and not a chore. This is a great place to start for anybody who is encouraged to start living healthier. Sure, call it keto or call it a low carb lifestyle or call it eating intuitively. Don’t get caught up in the buzz words and just do it for you. I salute you on your journey to excellent health post-bariatric surgery. Stay tuned for my next article, "Keto is More Than Just Reducing Carbohydrates!" Sheri Burke is a Registered Holistic Nutritionist and Bariatric Coordinator at International Patient Facilitators in Tijuana & Cancun, Mexico. She has worked with bariatric surgery patients for 10 years & provides nutritional guidance to pre and post bariatric patients. Sheri is passionate about supporting patients so she created a VSG Blanket & a VSG Plush. Read more articles by Sheri! 12 Small Nutrition Changes That Can Add Up To Big Results!